​Liverpool manager Jurgen Klopp is expecting to have Sadio Mane and Georginio Wijnaldum available for the huge game against Chelsea this weekend. The Reds host the Blues at Anfield on Sunday in game that will have implications for the Premier League title race in the case of Jurgen Klopp's side, with the German likely to have both Mane and Wijnaldum available. The ​Premier League's Player of the Month for March had sustained a thumb injury earlier in the week, while the Dutchman was an unused substitute during the midweek win over FC Porto with him nursing a back problem, although Klopp was optimistic for the pair's fitness. 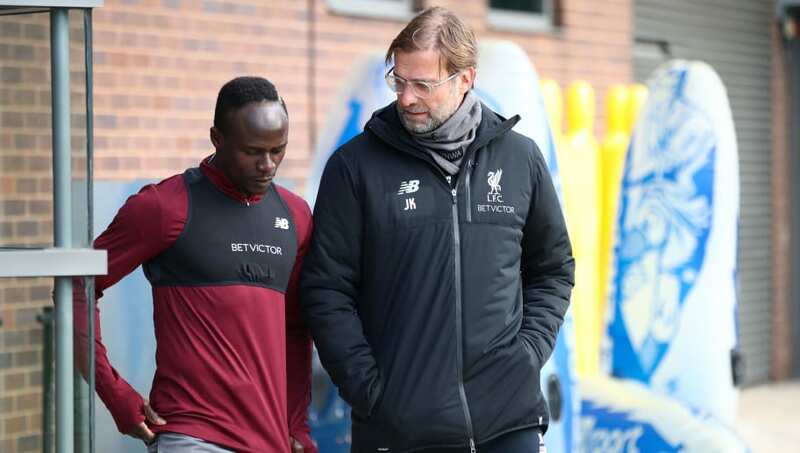 As quoted by the ​club's official​ website, Klopp said: "Sadio fell on his thumb and didn’t train yesterday. He should be OK today. Gini has a bit of a back problem but will train today [Friday]." ​Liverpool could find themselves in second place by the time they kick off against ​Chelsea, provided ​Manchester City beat Crystal Palace in the day's earlier game, while the Blues will be looking for a win to aid hopes of a top four finish. As well as ​Mane and ​Wijnaldum, Klopp also gave updates on the fitness of long-time absentees ​Alex Oxlade-Chamberlain and Joe Gomez, with the latter appearing on the bench in midweek for the club's Champions League quarter-final. Oxlade-Chamberlain meanwhile is yet to appear for the Reds this season, although Klopp admitted he won't rush the duo back into match action unless he feels they're ready. Of the former Arsenal midfielder, he added: "It’s just been a long time. He played 40 minutes against Derby [last month] and then 60 minutes in an internal game [on Tuesday]. He needs more minutes to play. "It’s difficult because all the others are fit. How can I compare? It looks positive in training, like Joe, but we need to make sure they are really ready. They were serious injuries. We want to have them for the future, not only one game. That’s why we try to be as serious as possible."